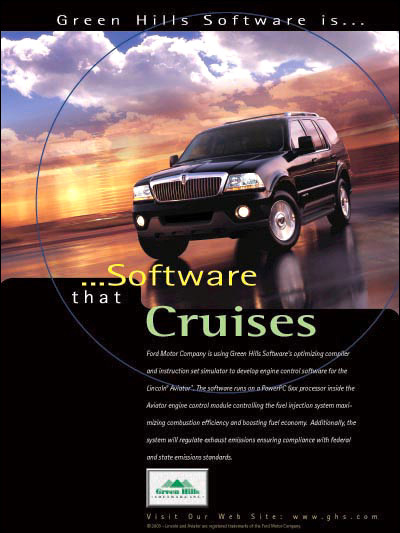 Ford Motor Company is using Green Hills Software's optimizing compiler and instruction set simulator to develop engine control software for the Lincoln® Aviator. The software runs on a Power Architecture 5xx processor inside the Aviator engine control module controlling the fuel injection system maximizing combustion efficiency and boosting fuel economy. Additionally, the system will regulate exhaust emissions ensuring compliance with federal and state emissions standards.